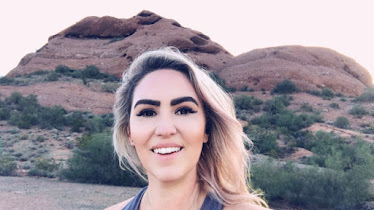 I'm taking the easy way out this month by doing a new and healthy recipe in one post. The other night I was planning on making goat cheese and sundried tomato stuffed chicken breasts but I forgot to pick up the goat cheese. 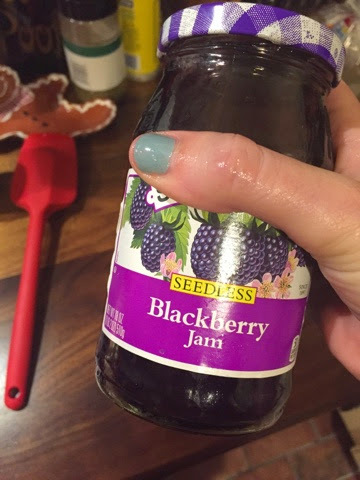 I looked in the cabinet and saw that we had some blackberry preserves. My mom used to make blackberry pork chops so I figured why not do it with chicken. I diced the chicken breasts and put them in the skillet, drizzled with olive oil and then sprinkled with lemon pepper seasoning. You could also use Montreal Seasoning. 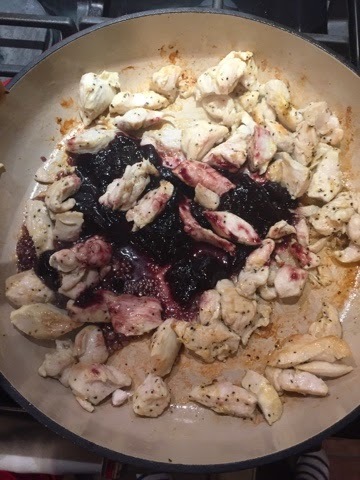 Depending on how much chicken you have, use more or less blackberry jam but for 2 chicken breasts, I used 3 large tablespoons. 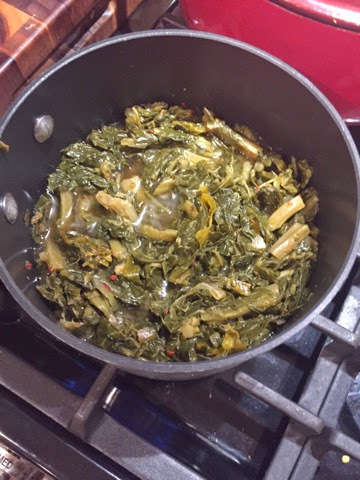 Turn your skillet to low heat and put the preserves or jam in the pan, it'll start to melt into a sauces. It'll be very thin at first but will start to thicken again as it heats. Make sure that you keep the heat low because sugars burn at higher temperatures. 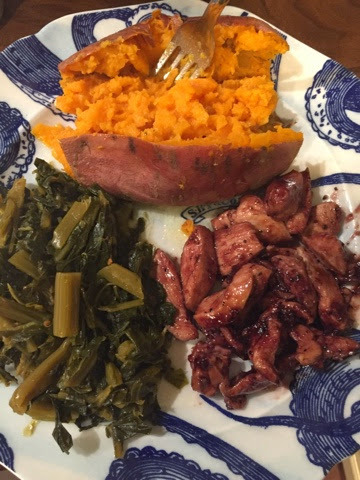 I served this blackberry chicken with a sweet potato and collards because that's what we were in the mood for however, I'd suggest serving it over brown rice with stir fried snow peas, water chestnuts, baby corn, and bean sprouts. You'll find that this chicken tastes like a replacement to orange chicken (and without all the fried breading)and would make for a great at-home Asian meal.